Some words are remarkably similar, and this exercise will build students’ confidence in finding the difference between them. This article is full of homophones! Exercise your vocab and dictionary skills by finding and replacing the homophones. Write right with homophones! 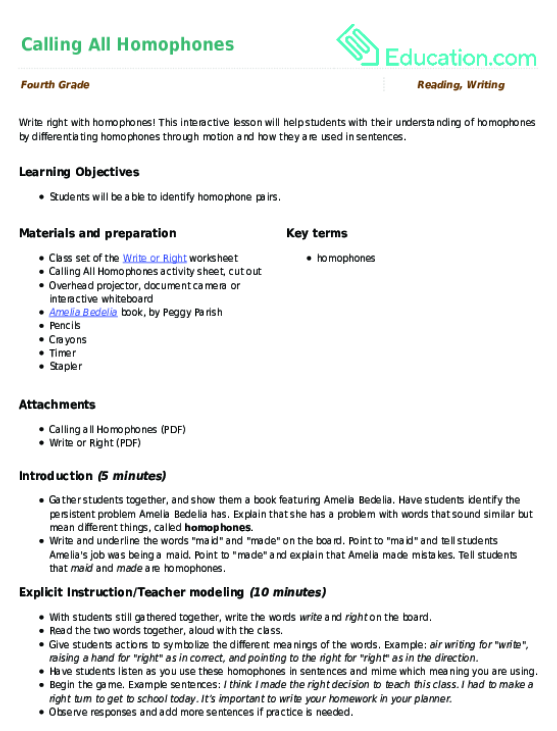 This interactive lesson will help students with their understanding of homophones by differentiating homophones through motion and how they are used in sentences. In this activity, students will use context clues to select appropriate homophones. Homophones: I See the Sea! Use this resource with your students to help them learn about homophones and practise identifying correct homophones. Children will identify the correct homophones while building their vocabulary skills in this fill-in-the-blank exercise. This is a great worksheet for students to practise identifying and using homophones as they work to create their very own puns! Homophones are frequently misused in student writing. 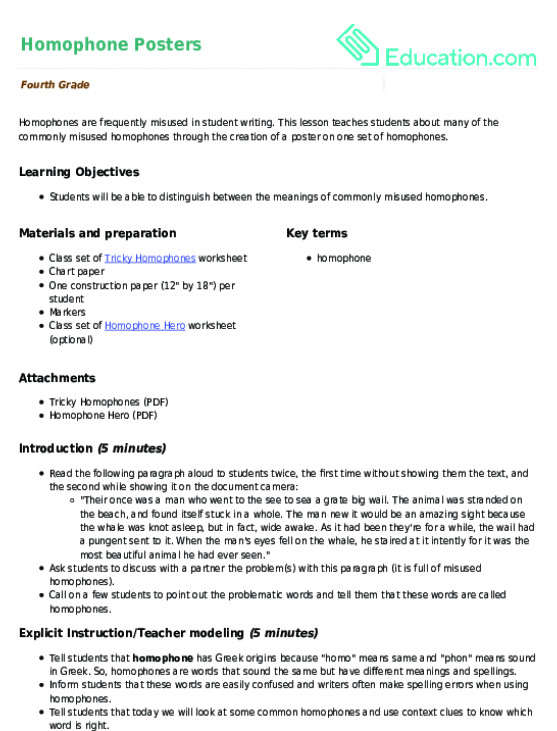 This lesson teaches students about many of the commonly misused homophones through the creation of a poster on one set of homophones. Help kids get a grasp on homophones with this sentence-building game, in which they complete sentences with homophones that make the most sense. Students will look at hilarious puns and how they use homonyms and homophones. In this fun worksheet, students will get to practise using both homophones and homonyms as they identify and write puns! Use this worksheet to provide students with even more practise using both homophones and homonyms as they identify and write their own puns! Young wordsmiths will practise identifying the differences between homonyms and homophones as they analyze puns.